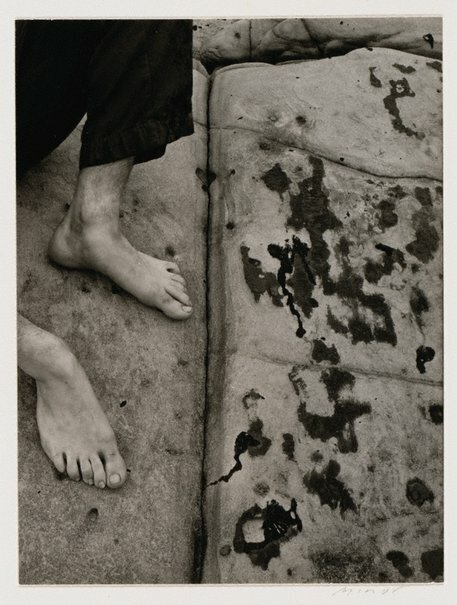 Minor White’s search for the awakening of a conscious state in photography was with the aim to reveal the interconnectedness of everything. If the mind, he asserted, was in a receptive state, those rare moments of insight, vision and revelation result in the photograph being ‘a message more than a mirror, and the man a messenger who happens to be a photographer’.2 His search for the minor mysticism of photography was a lifelong quest that was shared, along with his writings, with his students and colleagues over several decades. Signed l.l. card, pencil "Minor". Not dated. Donna Brett, Photography: Art Gallery of New South Wales Collection , 'A postwar modernist vision', pg.209-225, Sydney, 2007, 218 (illus. ).